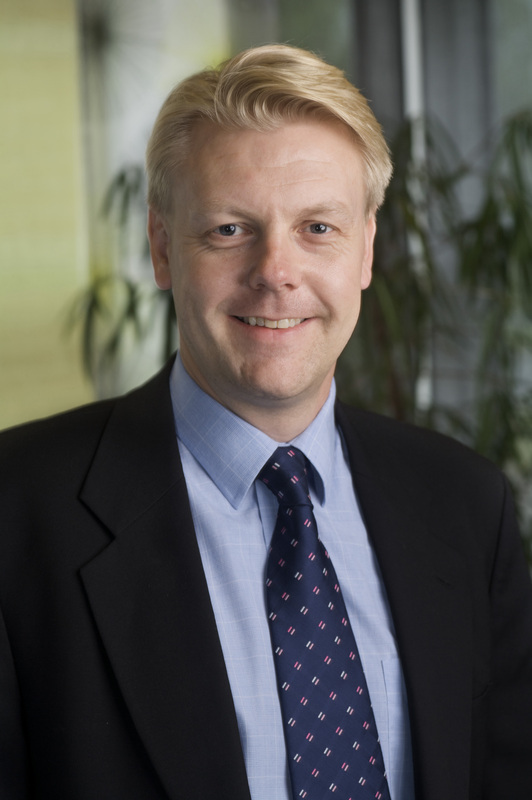 Andy Huckridge | Following the Telecom industry and advising on strategies to stay ahead of the change cycle. In the previous blog post we outlined the interdependencies between the three new technologies: IP Voice / VoLTE, high-speed transport pipes, and carrier network virtualization. These inter-relationships will make it difficult for the operator to gain confidence in rolling out each new technology, as well as challenging to pinpoint the source of problem areas. In this blog post we will detail a number of those interdependencies for further discussion. What are the Interdependencies That Will Drive the Triple Challenge? The below diagram shows the stages of a technology deployment and rollout, and denotes that whichever technology is used to start the process, resource constraints are experienced by the need to roll out the other two Triple Challenge technologies. Independent of the starting technology, the interdependencies and technology inter-relationships will cause the rollout of all three. New services will be brought out as virtual network functions (VNFs) on NFV-enabled networks. The ability to deploy a traditional upgrade on a legacy network may be short lived. By virtualizing first, VoLTE could be deployed as part of a virtual EPC (vEPC) where a virtual IMS (vIMS) core could be deployed as a VNF. How Will the Interdependencies Cause Network and Service-Related Issues? In the previous section we have demonstrated the interdependencies between the three new Triple Challenge technologies. Here we will explain the unique capabilities of a Unified Visibility Fabric™ architecture (UVFa) and how deploying one can bring a new insight to modern monitoring: understanding the inter-related deployment dependencies via cross-silo monitoring, allowing you to find the “needle in a haystack” faster, and oftentimes to vastly reduce the size of the haystack altogether. There are clear interdependencies which will emerge when trying to deploy the Triple Challenge technologies. Monitoring can play a great part in de-risking the deployment of these three new technologies, and will allow service providers to fully understand these technology inter-relationships before deployment such that when trouble shooting, it is easier to find the real needle in the correct haystack. Hello Telecom professional! Welcome to this extended series of blog posts that’ll take an in-depth look at the Triple Challenge of Network Transformation which operators are currently experiencing. We’ll examine how subscriber trends and market forces are pushing operators to transform their network – and the ensuing resource crunch that will occur. We’ll also take a look at how a Visibility Fabric can help to de-risk the deployment of several of these new technologies – avoiding the resource crunch and helping to de-risk the rollouts. We started the conversation about the Triple Challenge of Network Transformation back in September, since then we’ve seen several industry news stories that validate our thought leadership & commentary – related to how the Triple Challenge is affecting the Service Provider’s ability to deploy new technology in an agile and expeditious manner. As we look forward to 2015 and Mobile World Congress our approach to solving this dilemma is now more relevant than ever. So, let’s get started with a video interview as an introduction that’ll quickly explain what the Triple Challenge of Network Transformation is all about. Operators have always faced a slew of new technologies to roll out, but this time around there’s a difference. In the past, operators have been able to deploy new technologies in a series, one after another. Due to the interdependency of current new technologies, they can no longer be deployed in a series. The deployment of one new forces the deployment of another new technology and so on until all three new technologies are deployed. This series of blog entries will explain the three technologies and their interdependencies – highlighting why it is bad from the operator’s perspective and exploring ways to overcome the resource crunch that will become evident. What is the Triple Challenge and why will it occur? Virtualize the core first, then deploy VoLTE as a virtualized network function OR deploy VoLTE as a function on their traditional network since the network is already in place? Upgrade the core beforehand due to worries about DiffServ, MPLS transmission or QoS issues in general OR wait until the bandwidth requirements placed upon the 4G/LTE RAN force the move of voice services from the existing circuit switched 2G RAN? Upgrade core routers in anticipation of rising RAN traffic OR virtualize the core routing network elements first? It appears that there is no correct answer to whether the horse or the cart goes first. With this level of uncertainty and all-encompassing network transformation, there is only one constant – the need to be able to monitor the new technologies completely and comprehensively. The operator be able to make sure the network changes involved are working in the way that the network equipment manufacturer has promised during the design phase and are satisfying expectations when turned up and deployed. It is said that the person who is wrong is the person who can’t prove they are right, therefore monitoring of packets-in-motion greatly helps to add to the legitimacy required in the conversation between the operator and the NEM when deployments of new technology don’t go to plan. This is due to the three technologies being interdependent; deploying any one will result in either of the other two technologies also being deployed. This often leaves the operator with too few resources to deploy the new Triple Challenge technologies. Monitoring can play a great part in de-risking the deployment of these three new technologies, and help find the correct needle in the correct haystack, whilst disqualifying many false positives. Here is a video which accompanies this blog post. Monitoring and management tools are only as good as the traffic they can see, Gigamon says. What is believed to be the best location for connecting tools could change given the dynamic nature of the network. The GigaVUE H Series sends any packet to any destination, providing the appropriate network traffic to the monitoring tools. The company’s Flow Mapping packet distribution technology aggregates, replicates and filters traffic flows, which allows for dynamic connectivity for 40G, 10G, or 1G monitoring, compliance and archival tools. These include intrusion detection systems, protocol analyzers, deep packet inspection analyzers, VoIP and MPEG Video Analyzers, application and network performance monitors, and stream-to-disk data recorders. Fabric nodes acquire and map traffic from multiple data sources under one of the following scenarios: filtering and mapping (any-to-any), aggregation (many-to-any), multicasting (any-to-many). In other words, once data is acquired from multiple mirror/SPAN ports or TAPs, it can be multicast to multiple tools, aggregated to a few consolidated tools, and filtered or divided across many instances of the same tools. Two models are available, the GigaVUE-HD8 with a 14U footprint and eight line card slots, and the GigaVUE-HD4 with a 5U footprint and four line card slots. MILPITAS, Calif., Sept. 19, 2012 /PRNewswire/ — Gigamon®, a leading provider of Traffic Visibility Networking solutions, announced today that industry expert Andy Huckridge has joined the company as Director of Service Provider Marketing. Huckridge will spearhead strategy and marketing for Gigamon’s entire spectrum of Service Provider Solutions that provide intelligent visibility across the infrastructure deployed by cable networks, telecom service providers and mobile carriers across the globe. Huckridge joins Gigamon from VSS Monitoring, where he was Senior Director of Telecom Strategy and Marketing. Previously, he was Director of Marketing at Spirent Communications, and Director of Product Management at 8×8 Inc.
SAN MATEO, Calif. – July 23, 2012 – VSS Monitoring, a leader in network packet brokers (NPBs), today announced that it has earned the 2012 Global Competitive Strategy Leadership Award in the infrastructure packet broker market from Frost & Sullivan. VSS Monitoring was recognized with this independent, third-party award due to its leading technical innovation, differentiated product offerings, extensive customer base, and unmatched ROI/cost savings. To support its evaluation of best practices across multiple business performance categories, Frost & Sullivan employs a customized Decision Support Matrix (DSM), an analytical tool that compares companies’ performance relative to each other with an integration of quantitative and qualitative metrics. For the Competitive Strategy Leadership Award, the following criteria were used to benchmark companies’ performances against each of their key competitors: Leverage of Competitive Intelligence, Execution of Competitive Strategy, Impact on Market Share, Competitive Brand Positioning (brand strength and unique market position), and Impact on Customer Satisfaction/Value. For 2012, VSS Monitoring scored higher than any of the closest competitors in each of the key evaluation criteria, and its overall score was more than 20 percent better than the nearest competitor. VSS is a trademark or registered trademark of VSS Monitoring, Inc. in the United States and other countries. Any other trademarks contained herein are the property of their respective owners. Network Packet Brokers (NPBs) is the latest name coined by Gartner Analyst Deb Curtis and Jonah Kowall to define a set of hardware based appliances that help optimize the access and visibility of a variety of network monitoring, security and acceleration tools to traffic from one or many network links. A NPB or a system of NPBs provide a combination of functionality that may include aggregating monitored traffic from multiple links, traffic filtering and grooming, traffic regenerating and load balancing actionable traffic to multiple tools, pre-filtering traffic to offload tools, and directing traffic according to intelligent one-to-one and many-to-many port mappings. Formerly they have been also called data monitoring switch, data access switch, matrix switches, traffic aggregator, net tool optimizer, and distributed traffic capture systems. NPBs enable organizations to use their monitoring tools more efficiently, to centralize traffic monitoring and security functions and create centers of IT expertise, and to share tools and traffic access between groups. Most NPBs also provide functionality that helps extend the return on investment (ROI) on existing network monitoring, security and acceleration tool while also helping justify more expensive higher throughput monitoring and security tool purchases i.e. 10G and 40G. In a nutshell, NPBs simplify deployment and management of security and monitoring tools while maximizing the ROI customers can achieve from these tools while helping reduce associated CAPEX, and the OPEX for managing and maintaining them. NPBs broker network traffic from multiple Switched Port Analyzer (SPAN) ports from other network elements, and manipulate the traffic to allow more efficient use of Network Monitoring, Security, Analytics and Acceleration tools. The NPB product can also be deployed in line to reduce the latency reported to the attached network monitoring and security products while some even help increase the service availability of the inline tools via Layer 2 (session-aware) load balancing and tool health-check monitoring and fault tolerance capabilities. Many-to-many port mapping, with a configuration interface (graphical user interface [GUI] or command line interface [CLI]) for real-time adjustments of packet flow, including port mapping and paths. Filtering of packet data based on the characteristics found in the packet headers, allowing filtering of Open Systems Interconnection (OSI) Layers 2 through 4. Packet slicing and deduplication, (and some offer even network packet fragment re-assembly) which allows a subset of the full packet data to be passed to the monitoring device, thus allowing monitoring tools to scale more efficiently. 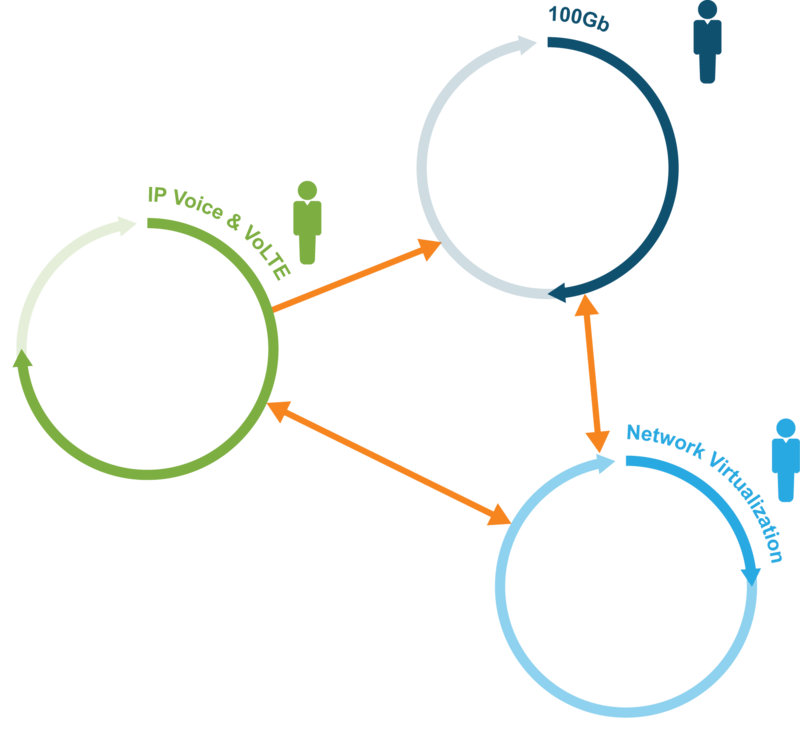 Aggregating multiple packet stream inputs into one larger stream, for example five 1Gb links into a single 10Gb link. Alternately, the reverse also will work, where a single 10Gb link would be fed into multiple 1Gb connections. The destination would be a monitoring tool with the proper interface. Distributing traffic load per device by sending it to different probes or appliances in order to scale the monitoring, or to provide redundancy in the monitoring technology. Insertion of hardware-based time stamps that can be used by the monitoring tools to provide more accurate measurements. These hardware-based features can change the accuracy of the packet time stamp from milliseconds to microseconds, enabling more granular time measurement. Some NPBs also offer hardware based port stamping at the time of packet capture which when combined with sub-millisecond time stamping can help maintain link-layer visibility and in turn help support attribution during network or application performance troubleshooting or incident analysis and response activities. Few NPBs also offer load balancing across multiple tool ports, filtering on patterns in packet payloads, and converting media and data rates so tools can be used to monitor traffic from dissimilar links. Deep packet inspection, allowing for the filtering and routing of packets based on data characteristics in the header or payload, and support for filtering on OSI Layers 2 through 7. The ability to capture ingress port identification data, enabling unique identification of traffic from multiple ingress ports. Some NPB solution vendors have the ability to interconnect their appliances to configure logical systems with hundreds of ports, although user interface complexity can serve as a limiting factor in many products. Others have pushed the envelope even further allowing customer to build up a fully redundant mesh architecture to broker traffic across Virtual, Physical networks or LAN and WAN and Internet boundaries. When a number of monitoring tools are connected to the NPBs tool ports, copies of traffic from any of the network ports can be optimized and delivered to any of the tools using the NPB’s CLI, GUI or central management interface. Some even offer extensible XML API to perform desired configuration changes and perform on-demand data capture and intelligent data delivery to one or more security and monitoring tool. The more advanced NPBs offer enhanced security (access control, port permissions, etc.) either on the individual level or by using groups, filter library / archiving, and the ability to manage multiple devices simultaneously from a single interface. Network Packet Brokers facilitate centralizing network traffic monitoring and security tools and IT expertise across the enterprise and service provider network e.g. Networks Operations Center [NOC] / Security Operations Center [SOC]. NPBs make it easier to share tools among groups and help extend the ROI from existing tools. NPBs offering media and data rate conversion capabilities, enable 1 Gigabit tools to support 10 Gigabit links, and 10 Gigabit tools to monitor traffic aggregated from multiple 1 Gigabit links. NPBs prevent tool oversubscription by pre-filtering traffic, and some even offer large-data buffers to mitigate against microburst in the network. With NPBs customers can tap network links directly, instead of relying on switch SPAN ports for monitoring access. Those NPBs offering bypass switch capabilities also allow the IT network administrators to deploy multiple inline tools on the same network link or support 10G links with multiple 1G tools by leveraging the NPBs intelligent L2-L7 filtering and load balancing capabilities described earlier. Because of their high port densities and modular form factors compared to discreet Taps, they save rack space and power, and can have a lower price per port while allowing customers to future-proof their investments. This is particularly true for those offering a system based approach for connecting multiple NPB appliances across LAN and WAN segments. Not all NPBs are created equal. They are non-standard – different vendor devices operate and are managed differently. Some NPB offer off-the-shelve hardware packaged (OEM) in different form factors which can lead to lack of backward compatibility and access to predictive engineering roadmaps. Others provide a monolithic switched based architecture that offers an expensive initial investment to buy a large chassis that is unable to share access and intelligence across different platforms. These are often limited by backplane chassis throughputs and lack backward compatibility with other legacy platforms from the same vendor; they more dense switches often need a separate management interface. Entry-level pricing is expensive – if just a few links or tools need to be instrumented, price per port will be higher than the customer is willing to invest in. Not everyone needs to build a large mesh architecture. So it’s imperative that those NPB vendors offering a system-based approach can offer customers a pay-as-you-grow model with a highly flexible and modular platform. Advanced functionality on some products can be very cumbersome to activate and maintain over time. Make sure you do you due diligence to perform side-by-side evaluations to see which one offers a more user friendly and extensible management to help reduce any associated operational expense. Some advanced NPBs require Command Line interfaces as the primary interface required to perform the vast majority of advanced functions, even on many boxes that also offer a GUI. While CLI offers a great deal of control over the operations of the box, only the utmost of advanced users will be able to configure filtering and connections using CLI without overlooking problems such as filter overlaps, replication and accuracy checks, and ongoing active system management. ^ Kowall, Jonah. “Application-aware-network-performance-monitoring-npm-and-network-packet-broker-npb-research”. Gartner. Retrieved 12 July 2012. ^ Laliberte, Bob. “Intelligent Network Packet Brokers”. Intelligent Network Packet Brokers – Market Report. ESG. Retrieved 12 July 2012.